The finest of these vineyards express the notion of vins de terroirs even more clearly than the Lieux-dits, and the character of grape variety makes way for the eloquence of the terroir. Our forbears had identified and named these vineyards that have a specific character and quality year after year. Most of the vineyards were named by the medieval monks and their superiors. 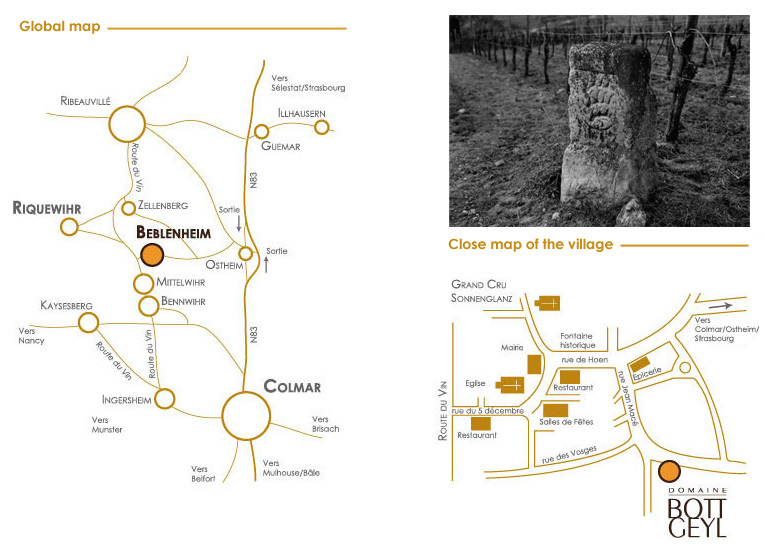 Schoenenbourg is a relatively large Grand Cru vineyard (53 hectares) and has a very complicated terroir. The base is marl with gypsum stones called Keuper and Vosges sandstone plus fine layers of Muschelkalk (seashells), with a sub-soil rich in minerals. It faces due south at Riquewihr and south-east closer to Zellenberg. Riesling here is the ideal wine variety for great dry wines as well as superb Vendanges Tardives and Sélection de Grains Nobles. The dry Rieslings tend to be rather austere in their youth but later they can become superb.